U. Redlands MBA Students Visit Yannix – Yannix(Thailand)Co.,Ltd. Yannix (Thailand) welcomed a contingent of 17 guests from the MBA Program at the University of Redlands School of Business. 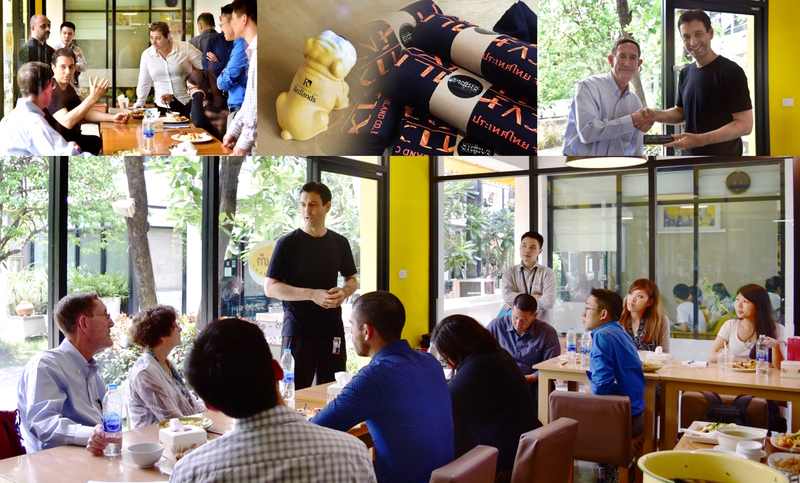 Led by Interim Dean, School of Business, G. Keith Roberts, the group from Southern California toured Yannix’ Bangkok facility and everyone was treated to lunch and a Q&A with Yannix’ Founder and Chief Executive Manager, Xye. The visit, which took place as part of a graduate course on “Contrasts in Southeast Asia Business,” was proposed by the Executive Director of the American Chamber of Commerce in Thailand (AMCHAM Thailand), Judy Benn. Yannix would like to thank Judy, Keith and all of the students who participated in this event.